Over the past 21 years, Robbie Nelson has worked in the public, private and third sectors focusing on health products and services relating to infectious disease, family planning and reproductive health. In 2010, Nelson joined the Military HIV Research Program (MHRP) through the Henry M. Jackson Foundation, where he implements management tools to improve and expand research activities, strengthen clinical care and treatment programs and has consistently achieved PEPFAR and PMI objectives under the Chief of Mission for the United States in Nigeria. Prior to joining MHRP he worked in the pharmaceutical and medical device industries for 12 years, focusing on antimicrobial and viral therapies for resistant pathogens and hepatitis C and worked with various ministries of health around the world to improve public health programs focusing on STIs and HIV prevention. Nelson has spent 12 years working in Africa and has a Master’s degree in public health from SUNY Downstate’s College of Medicine. Laura joined the US Army Medical Research Directorate-Africa/Nigeria in August 2018 as the new Deputy Country Director. She has almost 20 years of experience working in global health, spanning both the public and private sectors, and with expertise in numerous infectious and inherited diseases. Most recently, Dr. Chittenden worked for the U.S. Agency for International Development (USAID) as the Zika Regional Advisor for Latin America and the Caribbean, for which she managed program grants; worked closely with foreign Ministries of Health, the Pan American Health Organization (World Health Organization for the Americas), the U.S. government interagency, and cross-USAID teams. Serving under the U.S. President’s Emergency Plan for AIDS Relief (PEPFAR), she has worked in different countries and in technical and executive capacities. They include, India, Kenya, Dominican Republic and the United States of America. A U.S. Peace Corps volunteer in Nepal, Laura is a Six Sigma green belt and a Master of Business Administration graduate. She also has a Doctor of Philosophy in biomedical sciences from the University of Tennessee, Knoxville, and a Bachelor of Science in biochemistry from Old Dominion University. 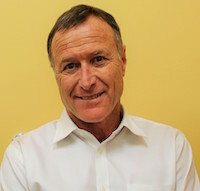 Eddie Bloom joined WRP-N in 2014. Prior to that he worked as a Country Director in Indonesia for a U.S.-Based NGO; as a contracting officer for USAID in Afghanistan; and was embedded with the U.S. Army as a development officer managing the Afghan project portfolio. Bloom, who is a returned U.S. Peace Corps Volunteer, has also taught remedial reading and writing to foreign college students at Austin Community College and has advanced degrees in International Studies, Political Science and Psychology. Bloom is a consummate student of language and speaks fluent Afghan Dari, Bahasa Indonesia and Spanish. 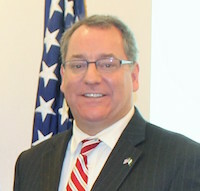 Stateside, Bloom held several senior management and leadership roles in Texas State Government before returning to overseas work. He also worked as a registered lobbyist at the Texas State Legislature and served as elected president of the Lions International social service organization in Central Texas. Dr. Yakubu Adamu is a public health physician with 16 years’ experience in public health practice and 10 years’ experience in implementing HIV/AIDs program at the community, national and sub-national level. He began his clinical HIV medicine career at FHI 360 (under the GHAIN project). 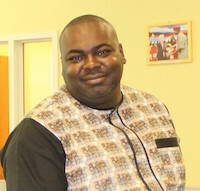 As associate director for care and treatment, he provided technical leadership to over 100 treatment sites in Nigeria. He joined DoDHPN in 2009 as a senior program specialist in HIV Care and Treatment, and was tasked with the responsibility of working with NMOD to provide high quality clinical care. He rose to become the acting director of public health in 2015. Dr. Yakubu belongs to numerous professional and technical working groups, among which are the Association of Public Health Physicians of Nigeria, National Postgraduate College of Public Health, National ART Task team and New Prevention Technologies TWG. Odeyemi Sunday Oluwaseun is a medical laboratory scientist with 19 years post-qualification practicing experience. 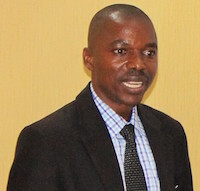 He is currently the associate director of WRP-N’s, Defence Reference Laboratory (DRL), Abuja. He previously worked at the Nnamdi Azikiwe University Teaching Hospital Nnewi as quality control and procurement manager. He worked as a senior program Officer in the Institute of Human Virology-Nigeria where he coordinated and supervised molecular laboratory activities, especially in early infant diagnosis service (EID) of HIV-1 virus and viral load monitoring. He also activated a number of PCR laboratories in the Northern and Southern parts of Nigeria and supported human capacity development in molecular technology. Odeyemi holds a Masters’ degree in Clinical Chemistry from Ambrose Alli University, PGD in Public Admin and Local Government Studies from University of Nigeria and is a graduate of the School of Medical Laboratory Science, Obafemi Awolowo University Teaching Hospitals Complex.